A car and a group of motorcycles drive on the Blue Ridge Parkway, a famous mountain highway in Virginia and North Carolina. 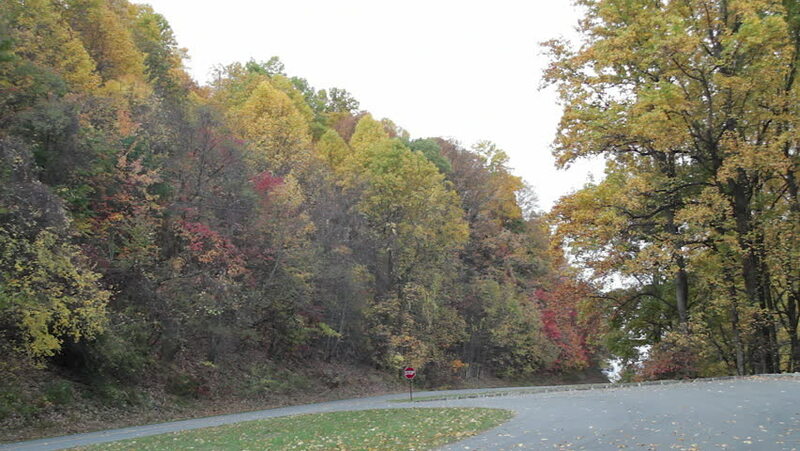 hd00:20Yellow and red leaves falling from trees in autumn in the Blue Ridge Mountains, Virginia, USA. Seen from a parking area on Blue Ridge Parkway, a famous mountain highway in Virginia and North Carolina. 4k00:15Autumn city park. Park in the fall. Ducks swim in the pond. Bright autumn trees in the park. Sunny day. Light breeze. 4k00:19Flying over the "Geant du Manio", the highest menhir of Carnac, a coastal city of the bay of Quiberon, Morbihan, Bretagne, France. Carnac is well-known for its famous rows of standing stones..
hd00:20HACHIOJI, TOKYO / JAPAN - NOVEMBER 20 2018 : Scenery of mountain path of Mt. Takao. It is also an approach to the temple, and there are many red lanterns on the way.